OnceWed recently asked me to give advice to brides about calligraphy. Here are a few things about calligraphy that everyone planning a wedding or event should know. There are so many different types of calligraphy styles. Find one that you love and represents you or your brand. Calligraphy is a slow, time-consuming process. That’s why rush jobs can be difficult to squeeze in. Not all calligraphers are the same. Quality is something that comes with experience. Pricing can vary depending on the types of envelopes and ink you want. Calligraphy goes beyond just envelopes. 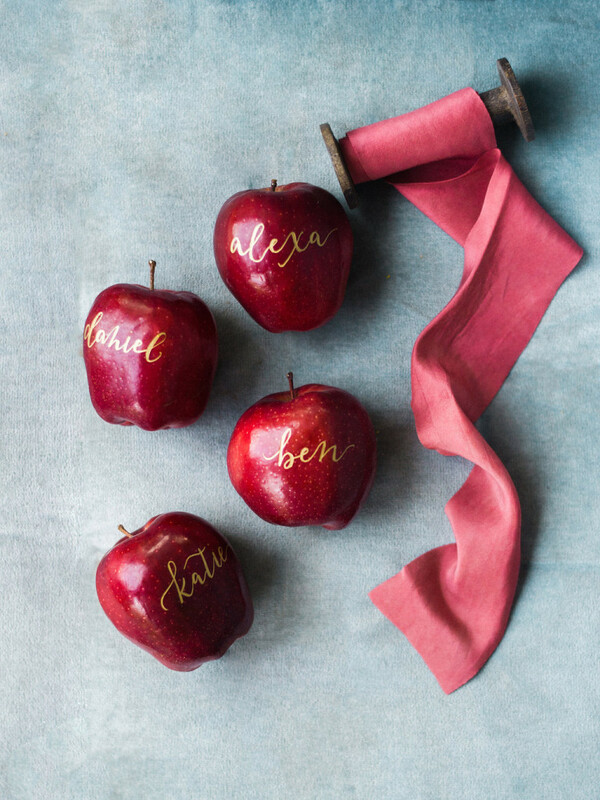 You can incorporate calligraphy on just about anything—from fruit to leaves to glass. Kristara Calligraphy is a full-service calligraphy studio based in Houston, Texas. We're dedicated to crafting words that are as beautiful as they are meaningful. Our mission: to put the art and soul back into words—one flourish at a time. Sign up below or email us for the latest information on classes, offers and events.